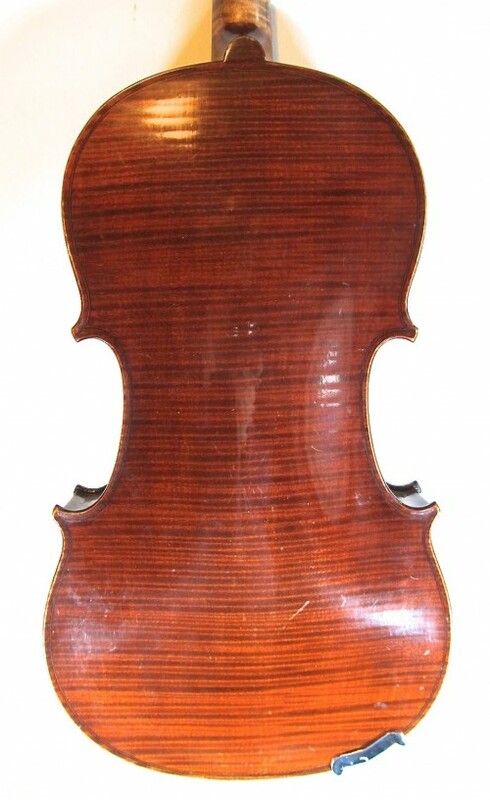 Early twentieth century French violin, labelled J. T. L. Geronimo Barnabetti Paris and JTL virtuoso. Made with the best of woods, even-grained spruce for the top and highly flamed maple for the one-piece back. Wood like this is seldom seen these days. The varnish is darker than it appears in the photos; the beautiful deep maroon characteristic of this maker's work. 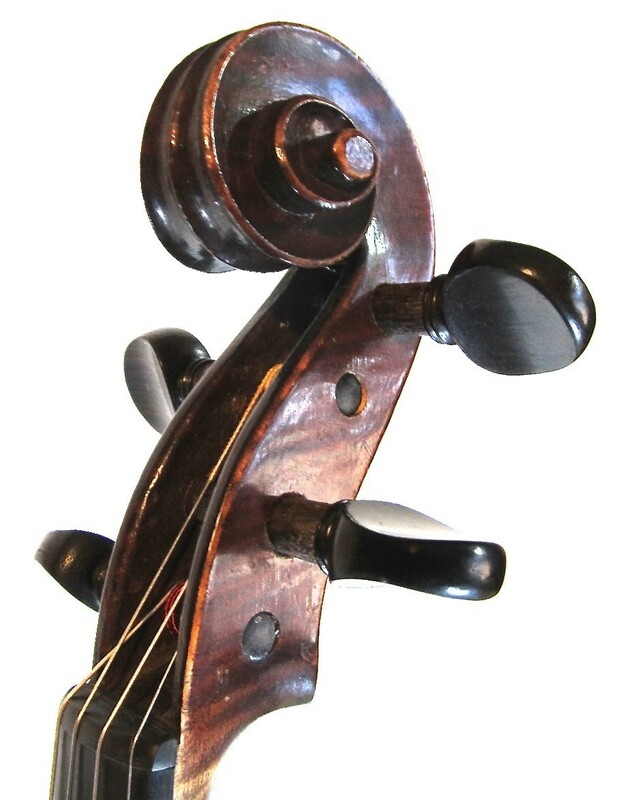 This is one of the best violins that I have had the pleasure of setting up. Violins by Geronimo Barnabetti are legendary; he is generally acknowledged as one of the best makers employed by JTL in Mirecourt. 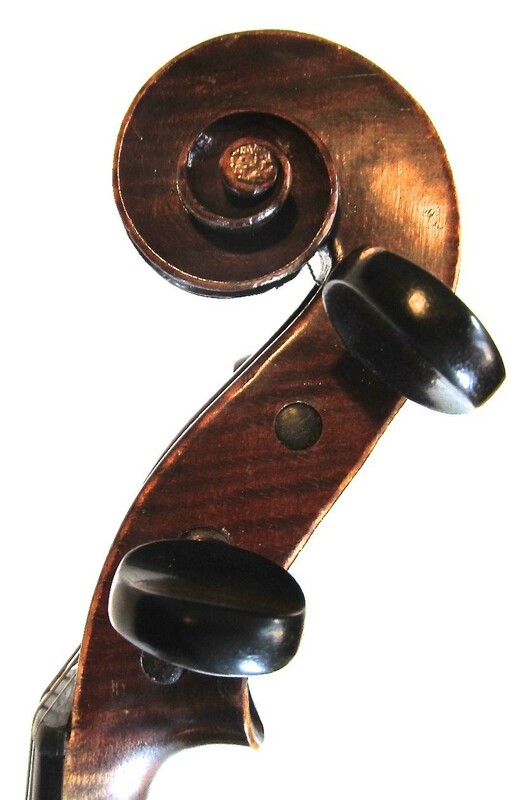 As well as his name, this violin bears the little virtuoso label, which was reserved for the best violins in their class. The sound is beautiful, velvetty and warm, sweet, even, round. A pleasure to play. Condition: There is a tiny piece of edgework missing from the lower bout. It is outside the purfling and cosmetic only. 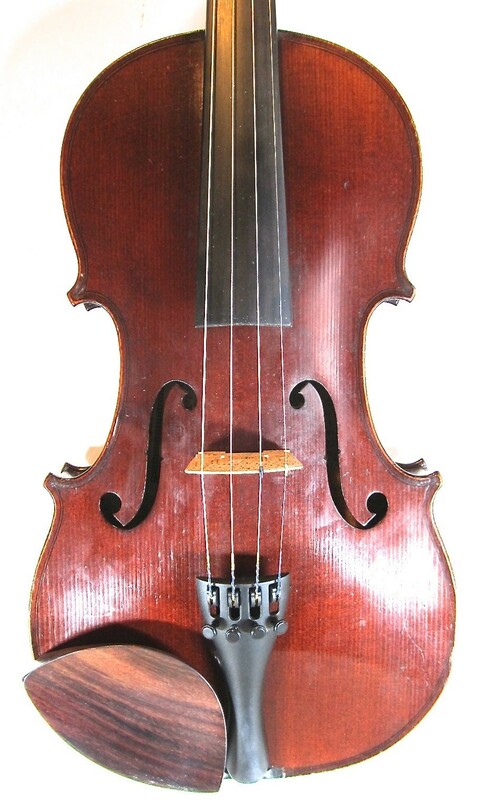 Otherwise the instrument appears practically new. Set-up: New rosewood pegs and chin rest. New sound post and Aubert Deluxe bridge. New Wittner tailpiece and Helicore strings.